I will share some of my tried and true measures for staying well during the winter months! Sleep: I know, I know….it is hard to carve out a sold 7-8 hours/night when there is so much packed into your workdays and evenings and weekends, but this is one of the best ways to stay well. During my NP and RN days, at the first sign of feeling run down or having a runny nose, I would just put myself to bed early. It was amazing what additional sleep will do for your immune system! Just remember that there’s a close relationship between your sleep patterns and risk for lowered immunity, so prioritize this moving forward. Consume less sugar and drink less: sounds simple, I totally get it. When you are attending parties and events, just ensure you have less sugary desserts and less alcohol. I’m not suggesting that you abstain completely, but just drink less and consume less desserts and decadent foods…your body will undoubtedly thank you! Probiotics: not only taking a good quality probiotic supplement, but also consuming probiotic rich foods (like fermented veggies, kombucha, kefir, etc.) can be hugely beneficial keeping your enteric brain aka-your gut healthy. Remember that nearly 80% of your immune system is derived from your gut! *I throw it into fish/chicken dishes, rice or vegetables and my entire family enjoys it! Keep moving: some kind of exercise or movement is essential for you on a daily basis. It doesn’t have to be complicated or extreme, but it can be as simple as a restorative yoga practice, tai-chi, walking, stretching, etc. Just keep moving! Exercise helps release endorphins, which are immune boosting biochemical, which also make us feel great! Take supplements: I personally like taking Vitamin C if I feel run down or if I’m not feeling 100%. I typically dose at 1000mg to ward off an infection and 4000mg if I’m actively fighting a cold. I also like to consume Vitamin C rich foods like oranges, kale, Brussels sprouts, broccoli, and red peppers. I am a huge proponent of getting nutrients from the foods you should be consuming regularly, but supplements can help augment your diet when needed. Reduce Stress: last but not least….reduce your stress. I know, easier said than done, right? But all the other tips in this series definitely support this. Self-care is paramount…reading a great book, taking a nap, spending time with loved ones, hiking, etc. I encourage you to establish a block of time daily to nourish your mind, body and spirit. 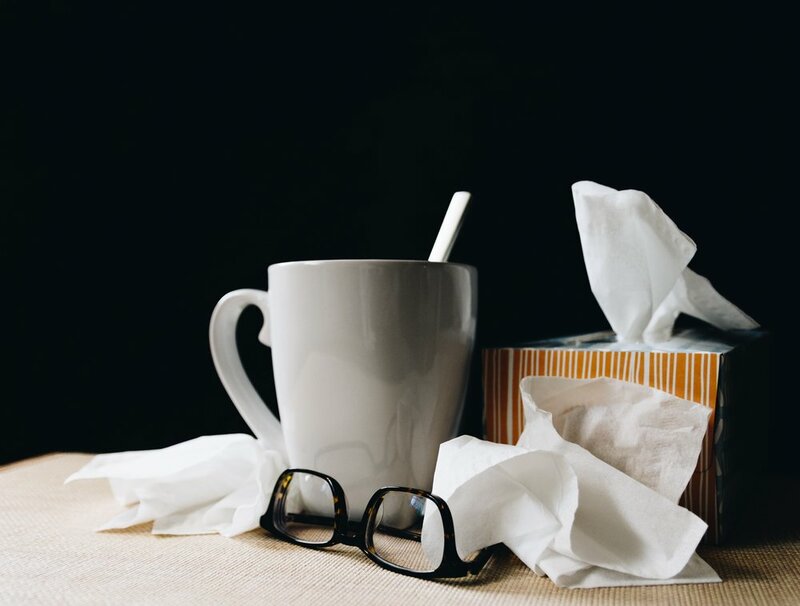 These are my top tips for helping to support your immune system during the winter months. If I left something out that you find effective, please let me know in the comments below!